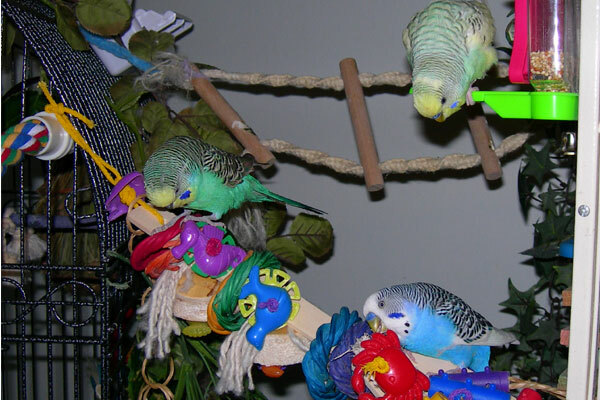 Our budgies love this toy! You can record words you want your budgies to learn and the mirror is motion-activated so that when the budgies land on the mirror perch the mirror plays the sounds you recorded. 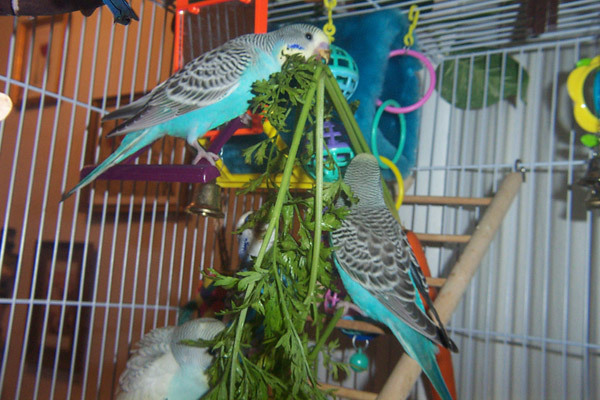 As with foods, the key with budgies is persistance. Repeat the words you want your budgies to learn over and over every day. Soon they may pick up the words and incorporate them into their everyday speech. 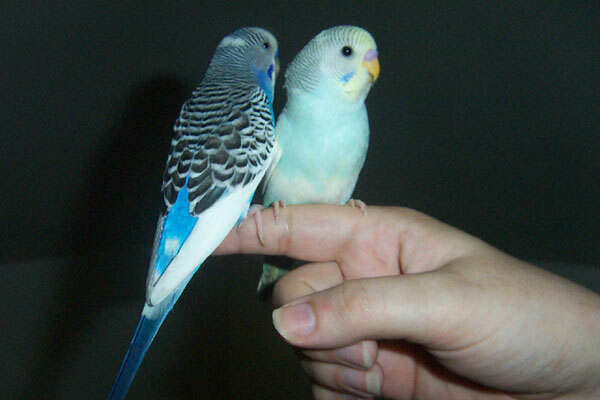 This works best with male budgies and when you have just one or two budgies. You are their flock so they will learn your words and will make up new sentences and word combinations with the words. If there are many more budgies in the flock, they tend to revert to budgie speech and forgo the language you have taught them. 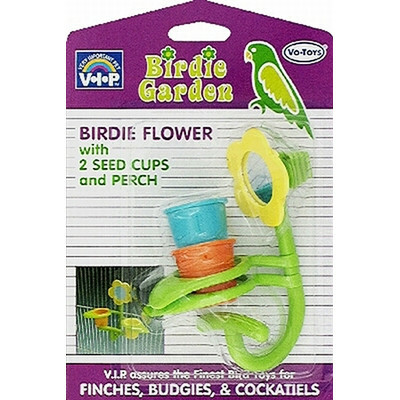 I had this product a few years ago and my bird loved the ability to record voices, words and songs that he could try to mimic. I was delighted to find this product on Amazon, I had searched numerous other stores and sites. Excellent service, received quickly. I actually ordered two. We ordered this mirror to help repeat words to our cockatiel for him to learn. I love the mirror, but the recorder could be a little clearer and also the time longer on it. Otherwise, it works very well! 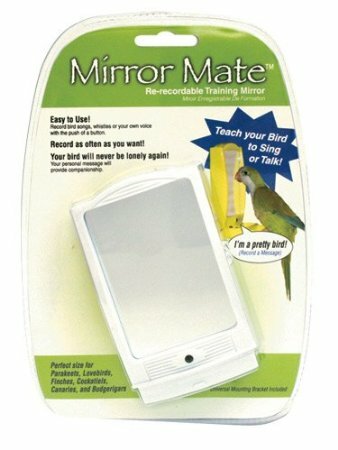 I have 2 parokeets.They seemed to be getting very bored so I saw this mirror-mate on amazon.com.I bought 2 of them,now my birds are no longer lonely or bored & neither are my 3 gransons.The boys like recording their voice & the birds love hearing them. I recommend this seller, it came well packed and promptly. Unfortunately I have a yellow-naped parrot that pretty quickly demolishes the toy and I have to replenish on a regular basis but that is not the fault of the seller or the product. It would be perfect for a parakeet, love-bird, cocateil or smaller bird like that. If you have a parrot that is a little destructive they won't last long but will have a ball until they are ruined. Until the toy is ruined though, it is a great idea. I just wish they made a more industrial one for the larger parrots that would hold up better. Still, I recommend it. I have a happy bird and she has a large cage but imagine the bordom of our little prisoners.....anything to entertain them is a plus. I am buying another six. Yes, these are that amazing. (I'd recommend them for non-chewers; because cockatoos, macaws might chew it apart) if your bird likes mirrors, or needs company, this one is so much fun wrapped into one. This is a plastic framed mirror that allows you to record 10 seconds of whatever you like. Your voice might be what you bird likes most, or you could record outside birds. It is powered by 3 aaa batteries, so it will last until the batteries run out. So the toy is not useless once the power is gone. There is an on and off switch for when ever you want to turn it off. Then you have 2 small buttons,one is to record a message ( change it as often as you like, and it's simple to do) the other is a play switch to demo your recording or just play it for your bird. It does have a small feed cup, you can use that if you like. There is a removable perch, if you like. It does have some motion sensitivity, and will play for your bird when lighting is altered in some ways, and when the bird taps it in particular places. So, birdie will set it off in various ways. Great if you have a single, lonely or scared bird. I would think it might be helpful to a larger bird ( one that is a chewer) if you place is somewhere just out of the cage. Different sounds he makes and different light would probably set it off just as well as it would in the cage. We have a 2 year old sparrow that was the only baby alive in a nest of babies about 2 days old. He is spoiled. Hand fed for 2 months and worried over, he's had all kinds of toys. One is a talking phone with some buttons bird pushes. Great toy, but it is not 'your' voice and you have 4 prerecorded phrases. Our bird likes it to a point. He'll give it a rap and then run. He is somewhat fascinated by it, but also scared. Once he gets it to talk he runs to the other side of the cage for a few minutes. THIS mirror was love at first site. He sits by it, raps it, kisses it and just seemed to love it right away. For him it is both fun and comforting. But he is very driven by time, as are most wild birds. He is in his little bird cup by 6 pm and stays there till 5-6 am. So being able to turn this off is handy. Every morning he wakes up and first thing he does is go to that mirror. It is usually 6 am and non of us are up to turn it on. So we do that first thing, and he dances around and chatters to it for quite some time. He also feeds all of his mirrors. Doesn't regurgitate on it, just pecks the food into it, in his own way. So far he hasn't hurt it. Its all washable anyway and the battery compartment is safely covered and away from the bird. I couldn't be happier with it. We've only had it 4-5 weeks, but so far so good. Highly recommend ! I've said it once, I'll say it again: persistance! When you first bring home your budgie, for the first few days just sit beside the cage and softly talk to the budgie, sing songs, read from books, make eye contact. Let your budgie get to know you slowly. When you change out the food and water, speak softly to your budgie and tell them how pretty they are, how glad you are that they are going to share your home, introduce them to your home and to you. Then, begin just placing your hand inside the cage - don't try to touch the budgie, just place your hand inside and let it rest there so your budgie can see that the hand is not a danger. Then go to the next step down - teach your budgie to step up. Once you have your budgie stepping up you can then do more bonding rituals like holding a piece of millet on your chest and let them fly to you and land on your chest and eat the millet. Once they come to know that you are not a threat, they will land on your head, play with your jewelry, sit on your shoulder and step up on your finger when you provide a finger and ask them to step up. Always appear sure and confident. Don't hold your finger too far away from them - they shouldn't have to step too far to get on. Never draw your finger away when they are stepping up or they will lose trust in you. If they are unsure and want to test the safety and sturdiness of your finger, they may first reach out with their beak to test. Do not be afraid. They are not going to bite, just touch with their beak. If they do ever bite, whatever you do - don't respond. If you yell or scream or flail they may get excited and think it a fun game and continue to bite you. One way to get them to stop biting while on the hand is to shake your hand gently like an "earthquake". Never ever hit or yell at your bird for any reason. They are sensitive and will lose their trust in you and only react scared and defensive and will fly away from you and not want to be around you. This is exactly the opposite of what you want. It is important to always approach them as happy and loving and non-intimidating. As they are prey animals and you are a predator with 2 eyes looking forward, at first - just look at them with one eye - so they will not be afraid. 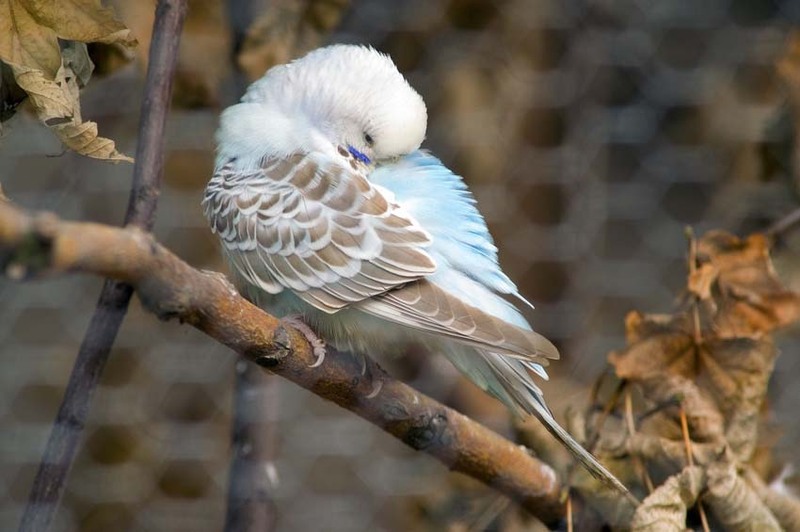 For your first attempts of bringing your budgie out of their cage - a small safe budgie-proof room is best - like a bathroom - with the toilet lid down and the mirror covered - someplace where you can easily retrieve the budgie if he flies away. One of the first things you should teach your budgie is how to step up. When the budgie is in their cage, hold a wooden dowel gently against their belly - just above their legs and say "Step up". Be sure to say "step up" each time so that they learn the command. Be consistent. Use millet to lure them onto the stick. Be sure they get a treat each time they do what you are trying to get them to do and praise them in a happy high pitched voice. They will hop onto the dowel and you can move them to a different perch in the cage. Practice this over and over every day until they are unafraid. 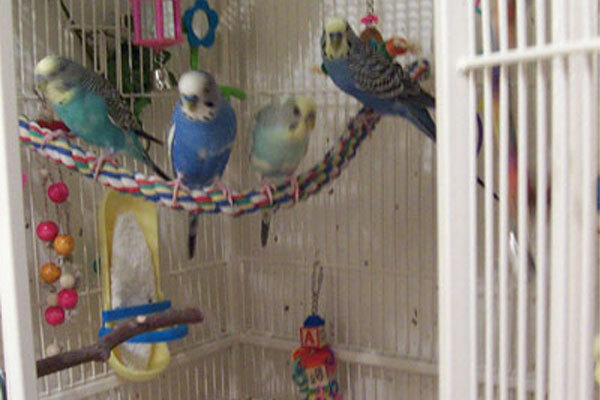 You can then bring the dowel out of the cage (in a safe room - free of budgie dangers like open windows/doors, un-curtained windows, open bowels/pots of water, other pets, etc) and practice step-ups there. Once your budgie has mastered step-ups onto a wooden dowel, you can move on to teaching them to step up onto your finger. Hold the dowel with your finger pointing out onto it, getting your finger closer and closer to the budgie's feet each time you do it. Once the budgie is getting onto your finger on the dowel, you can begin trying to get them onto your finger, holding out your index finger in a point just as you did with the dowel. Teach Your Budgie Tricks: Play Fetch! Another fun game or trick you can play with your budgie is Fetch. Our budgie Skye loves this game / trick. She throws the seed cup onto the floor and we fetch it and bring it back to her. Hand the cup to the budgie and let them throw it for you to fetch. Alternatively, place several buckets on the ends of the manzita perch they are sitting on and they will run to fetch all the cups and throw them down to the ground. They especially love it when this makes a big noise! We both love this game. You and your budgie need to trust each other. For some, this can take a while. Cloude and I had some issues with this at first. He would bite me, hard. So, I didn't really trust him when I tried to get him on my finger. I would be hesitant when I put my finger up to him. If he bent down to check the sturdiness of my finger I would get scared and pull back. This caused him to lose trust in me as well. It was only when I put away my fear of being bitten that I was able to really forge a strong bond with this budgie and we learned to trust each other. If a bird puts his beak on your finger, don't freak out! Even if they do bite, it's not going to kill you. Do not react in any way. You cannot let them know that a bite hurts or that it affects you in any way. Some birds love to see a person's reaction to getting bitten and will bite more - because it's fun. It's all about trust. Stay calm. It is much easier to train a bird if you stay calm, cool, and collected. 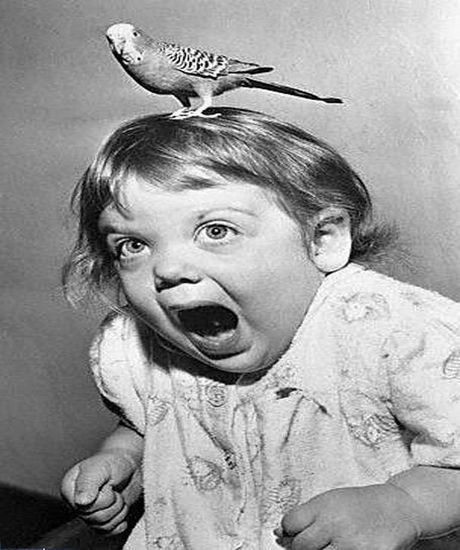 A bird can sense anxiety and fear. Be a bastian of calm.